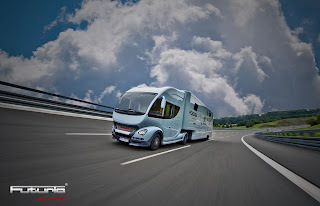 The Futuria is a luxury motorhome is like no other I’ve ever seen. It features a luxurious interior with a bedroom, a bathroom, and a Jacuzzi on its 11 foot roof terrace! 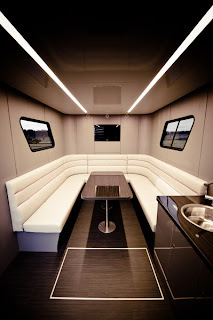 The Futuria is also equipped with a powerful sound system for partying and even has a fog system. The best feature of the Futuria is the garage inside the motorhome for your supercar! 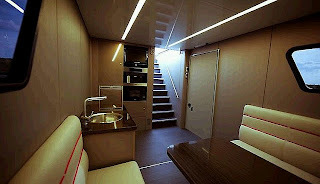 Can you say lifestyle of the rich and famous?